Wolfgang “Wolf” Falck was born on 19 August 1910 at Berlin. Falck’s aeronautical and military career began as a member of the Reichswehr, the modest Army allowed Germany under the Versailles Treaty, in April 1931. He was selected, along with 29 of the Army’s brightest young men, for training at the clandestine Luftvehrschule at Schleissheim, near Munich and later, on Russian territory at Lipetsk, south of Moscow. He began his flying training in April 1932. When he came back to Germany, he rejoined his Regiment at Schweidnitz.  From 1 February 1933, he attended the Infantry School at Dresden for officer training. Falck was promoted to the rank of Leutnant on 1 October 1934. He was able continue flying by undertaking an annual six week refresher course on Arado Ar 64 biplane fighters at Schleissheim. In March 1935, Leutnant Falck became Kettenführer (pilot instructor) at the Deutsche Verkehrsfliegerschule at Schleissheim in the new Luftwaffe. On 1 April 1936, Falck was promoted to the rank of Oberleutnant and transferred to JG 132 Richtofen, where he became Staffelkapitän of 5. Staffel, based at Jüterbog-Damm. On 1 July 1938, when III./JG 132 was established, Falck was appointed Staffelkapitän of 8. Staffel, based at Fürstenwalde. The new Gruppe was later redesignated I./ZG 76 and equipped with the then new Bf 110 Zerstörer twin-engine fighter. Falck led 2./ZG 76 during the Polish campaign from its base at Ohlau in Silesia. He gained three victories over Polish aircraft before the unit was relocated to Jever on the German Bight. Here he took part in the air battle with RAF Wellington twin-engine bombers attacking Wilhelmshaven on 18 December 1939. He claimed two of the bombers shot down, although one of his claims was not confirmed, but force-landed on Wangerooge after return fire from the gunners of the bombers damaged his engines. On 19 February 1940, Hauptmann Falck was appointed Gruppenkommandeur of I./ZG 1, based at Düsseldorf. The Gruppe was relocated to Barth on the Baltic coast at the beginning of April. On 9 April, Falck led the unit in the invasion of Denmark. He recorded his seventh, and final, victory when he shot down a Danish Fokker C V recce plane (R-49) belonging to the 5. eskadrille that was taking off from Vaerlöse airfield. 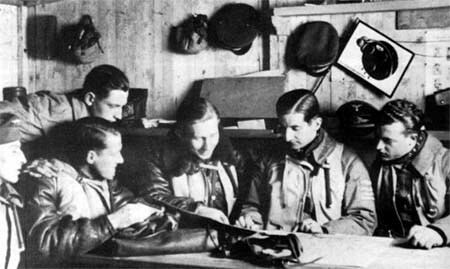 It was while he was based at Aalborg in the north of Denmark that Falck, following the unmolested bombing of the airfield by RAF bombers in the pre-dawn hours, prepared a comprehensive report on the theories of night interception. I./ZG 1 participated in the battle for France and, with that campaign successfully concluded, against the RAF from a base near Le Havre. However General Kesselring ordered Falck to withdraw the Gruppe to Düsseldorf and reform the unit in the night fighter role. Members of 2./ZG 76 at the briefing before combat mission. Second from right is Hptm. Wolfgang Falck. Westerland airfield, Autumn 1939. Thus Falck became Kommodore of NJG 1 on 26 June 1940. Major Falck received the Ritterkreuz on 7 October 1940. He was to lead NJG 1 for three years and five days but his legacy was to establish, in partnership with General Josef Kammhuber, an effective night fighter force. 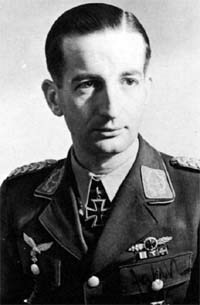 On 1 July 1943, Falck was promoted to the rank of Oberst and transferred to Generalstab as Kammhuber’s representative at the Luftwaffenführungsstab. The Falck/Kammhuber partnership was dissolved when they failed to agree on the direction of the night fighter arm. Falck was appointed to a position with the Luftwaffenbefehlshaber Mitte responsible for the day and night fighter defence of the Reich, based at Berlin. He held the position until the abortive bomb plot against Hitler in July 1944. He then approached Adolf Galland and was appointed Jagdfliegerführer Balkan based at Pancevo near Belgrade in June 1944. He arrived in Belgrade the day Romania switched sides in the war. Five days later Bulgaria followed suit. Falck was forced to withdraw to Vienna.Falck was to become General Flieger-Ausbildung, responsible for all the Luftwaffe training schools, shortly thereafter. However on 1 March 1945, he was given an assignment commanding fighters in the Rhineland. He was destined never to take up the command, eventually becoming a prisoner of the Americans on 3 May 1945 in Bavaria. He was released on 7 June. Post war Falck undertook a variety of jobs including farming and working for a pharmaceutical company. He even worked for the British Army as a Civil Officer at the stores section of the 47th Royal Engineers! He attended night school and studied business, which resulted in his gaining a role selling playing cards. In 1961, after becoming the manager of the company, he was approached by North American Aviation to undertake aviation consultancy work. In 1966, he joined McDonnell Douglas. On retirement from business in 1986, he lived in St Ulrich in Austria. He continued his love of flying post war, joining many flying clubs. Wolfgang Falck is credited with seven victories in about 90 missions, all gained while flying the Bf 110. All his victories were scored in daylight.